The Veneto’s Beauty Tour leads to discover three amazing towns, Asolo, Bassano del Grappa e Marostica, during a tour that lasts 6 /8 hours. In the list of Italy’s most beautiful small towns, Asolo enchants with its medieval charm . The town currently has about 9000 inhabitants and once it was municipium, during the Roman Empire. In the Middle Ages, Asolo flourished under the wing of Venice “La Serenissima“, prospering thanks to exclusive trade routes. The subsequent decline was still full of important moments, such as the birth of the Academy of Rinascimento in 1750, which gave new life to art and literature. A visit to Asolo passes for La Rocca, a symbol of the fortified city, the Castle of Asolo, today houses the theater dedicated to Eleonora Duse, the actress and muse of Gabriele D’Annunzio. The visit to Asolo may also include the beautiful St. Catherine’s Church, the Cathedral and the Municipal Museum . 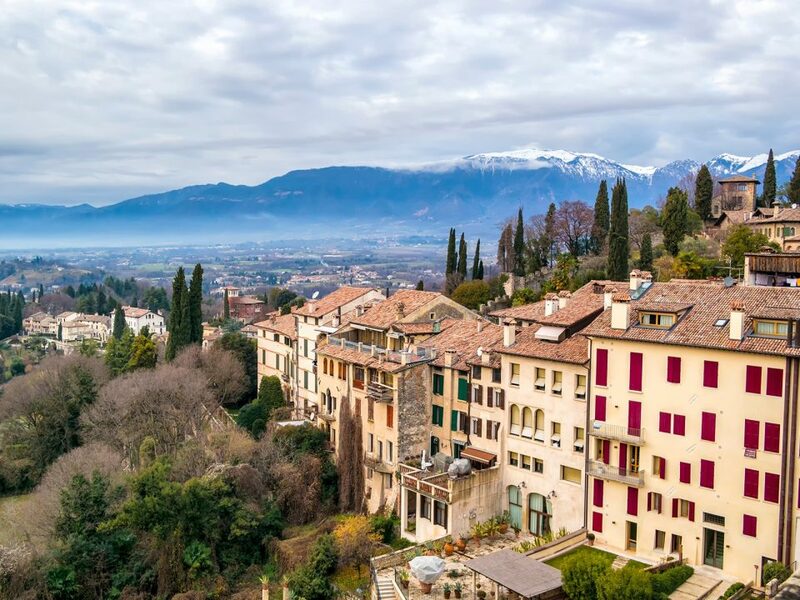 Overlooking the Brenta, the town of Bassano del Grappa has a rich and eventful past, from the Middle Ages up to the participation in the fortunes of the Venetian Republic. 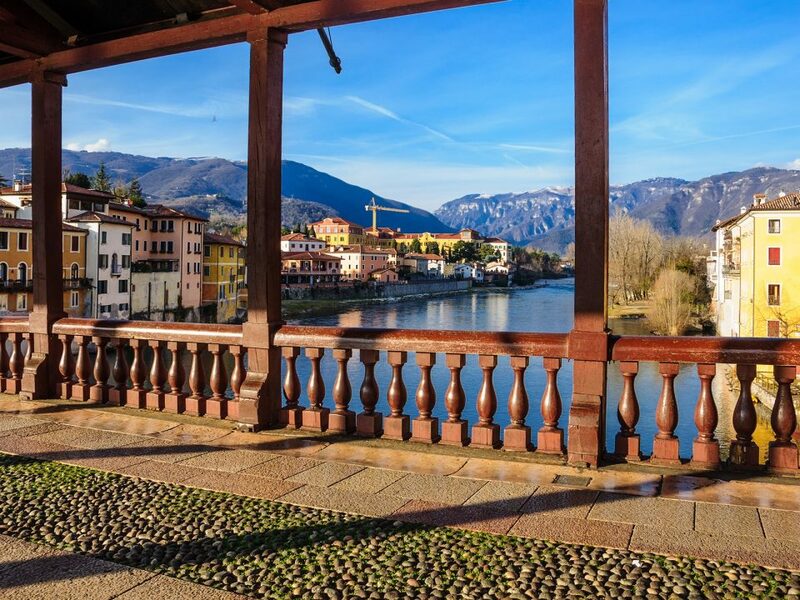 The visit of Bassano del Grappa can personally experience the unique atmosphere of the old town and the walk along the picturesque Ponte degli Alpini, a symbol of the city. The bridge, designed by Palladio, was destroyed by the partisans during the Second World War, in extreme defense of the city and later rebuilt according to the original design of its designer. Before a relaxing time in Terraglio Square, in the city center can be visited the Cathedral and the Romanesque church of San Francesco. 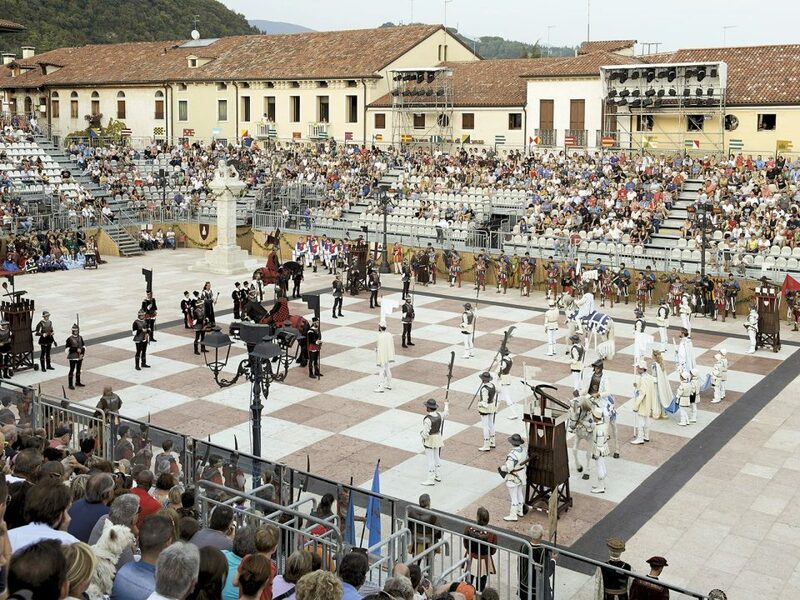 Marostica is particularly famous for its Piazza degli Scacchi (Chess Square), a symbolic place where every year a spectacular live chess game thakes place, according to a tradition that dates back to the thirteenth century. Accademia Viaggi srl activates a series of special limo car transfers with chauffeur, to allow you to follow the game of chess in all its charm, without missing a beat. The town of Marostica is also famous for its cherry production, special ingredient of many recipes that you can enjoy during a visit to Marostica. The route is completed with the two castles, the Upper Castle and the Lower Castle and the beautiful and well- preserved walls that once protected the city.